I received two packets as sample from them for their holiday recipe challenge. They are going to select and try few recipes if they select winner get some prize. I don’t know I am going to win their challenge. But I already win the recipe challenge according to my daughter and hubby. He is usually acts as tester only test few bites and declare it is good or bad. He told it is excellent hard to get excellent word from him. 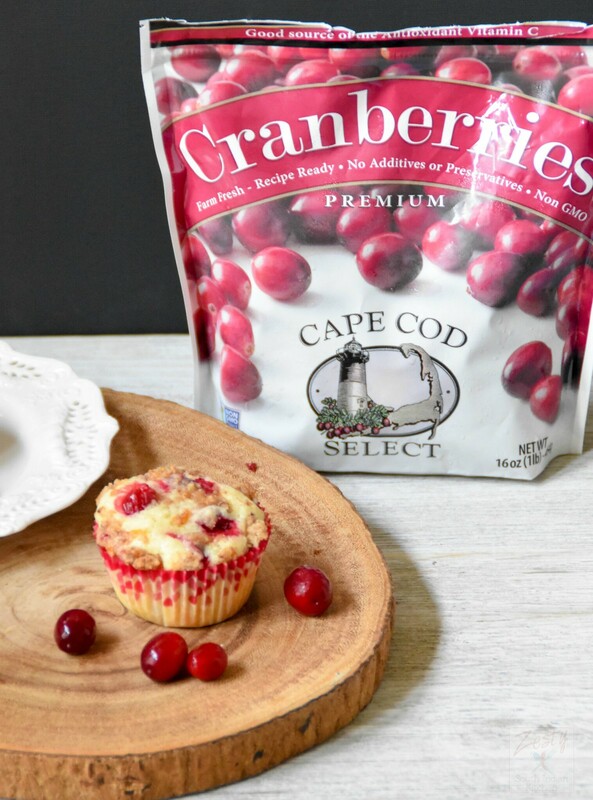 You can find Cape Cod Select Premium Cranberries from these stores look at frozen sections. Earlier I tried Cranberry coffee cake which I love it, one of the best recipes which I got from my grocery store’s recipe list. 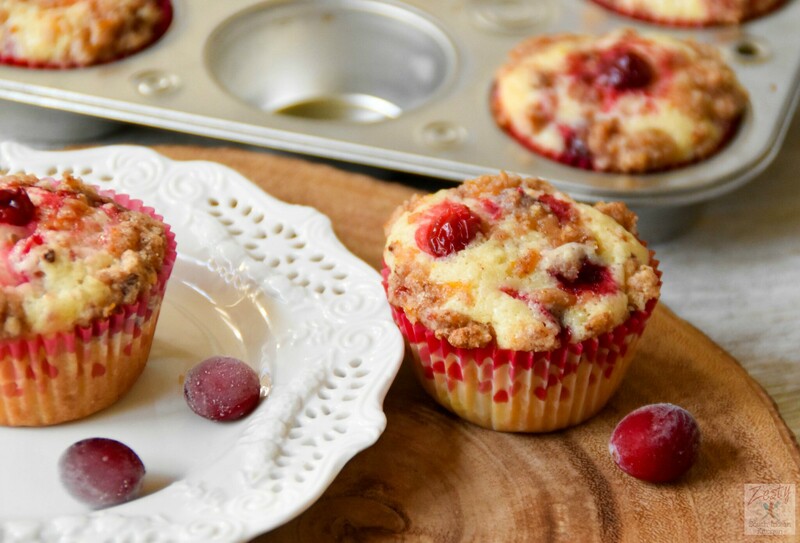 Initially plan to make cranberry pound cake, but later changed the idea to make this cranberry orange muffins with orange crumble topping. Trust me these are best and addictive fell in love with them. I am going to make it more often. This is my own recipe adapted from various sources. Now I found a secret ingredient to make the muffin soft, it is sour cream. When I add the muffin stay soft. I used orange along with cranberries as their union is always perfect. I used orange juice and orange zest both in the batter as well as crumble. I decide to cut big cranberries into two and small one used just as such. This step doesn’t do any harm and cranberry doesn’t bleed. If you don’t want those steps simply skip it. Give it a try you will like it. You need these ingredients to make these delicious muffins. Preheat oven to 375F and line the muffin tin with liner. In a bowl first make orange crumble topping by adding orange juice, sugar, all purpose flour, ground cinnamon, orange zest and melted butter and stirring until crumbly and set aside. In a large bowl add flour, sugar, and baking powder, salt and mix well. To this add cranberries (I cut the big ones into half and small ones as such) orange zest and combine everything. In a medium bowl add egg, melted butter, milk, orange juice, sour cream and vanilla extract and mix well. Add egg mixture to the flour mixture and combine make sure not to over mix even the bits of flour is there that is fine. Transfer batter into prepared muffin tin. 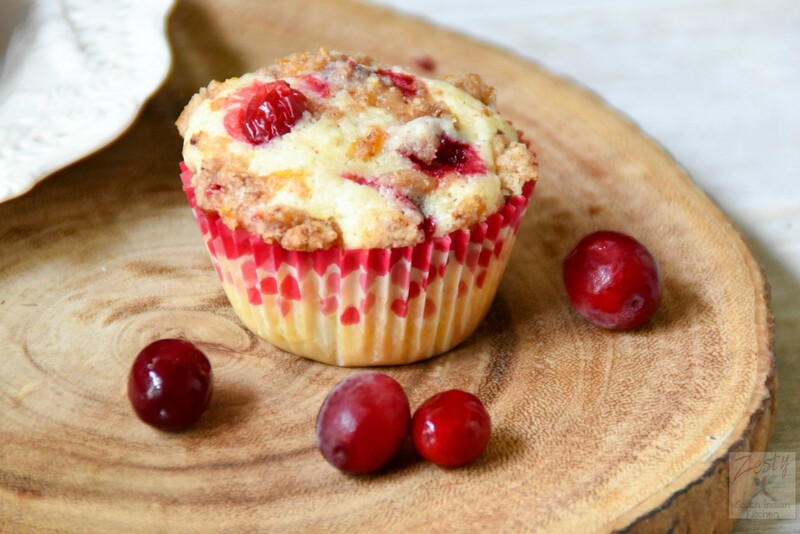 Place a cranberry on the top of each muffin. Bake at 375F for 18 minutes or until a tooth pick comes out clean. Disclosure: I received the samples from Cape cod select however all the opinion are mine. These muffins look delicious. 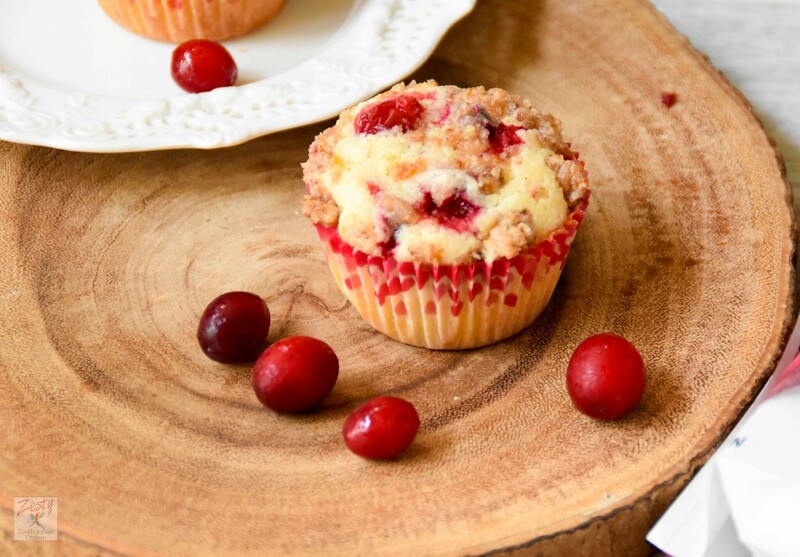 I’m also a big fan of baking with cranberries in the Fall. I am a lover of crumble topping, so this looks amazing! And cranberries make me so happy. I have to make these soon! These muffins look so scrumptious! They would definitely get me out of bed in the morning! I love cranberry and orange together — it’s such a great combination. Also, the whole cranberries when baked in a muffin, turn tart and jammy. Fabulous! 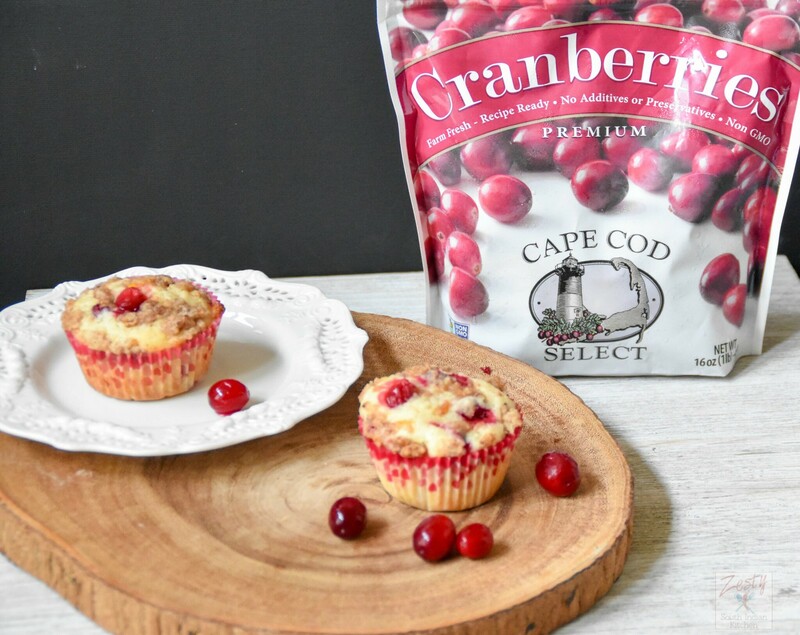 Those cranberries look amazing! I love them in everything this time of year. Lovely presentation and this is so opt for the season! yum!